The door is the most tricky element of a wine cellar because it is the weakest point of the cellar in terms of insulation efforts made for ensuring the temperature stability and condensation control. 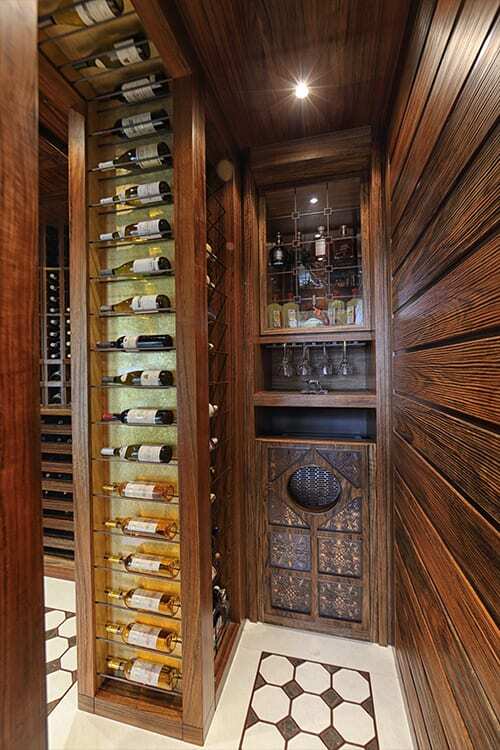 Engineered details, including carefully picked and crafted materials make the cellar doors by FWC technically superb. Moreover, a cellar door is never just a cellar door for FWC. Great design effort goes into each cellar door, sometimes involving artists and skilled craftsmen as it was the case in this beautiful residential cellar built in the annex building of an Istanbul mansion by the Bosphorus seaway. 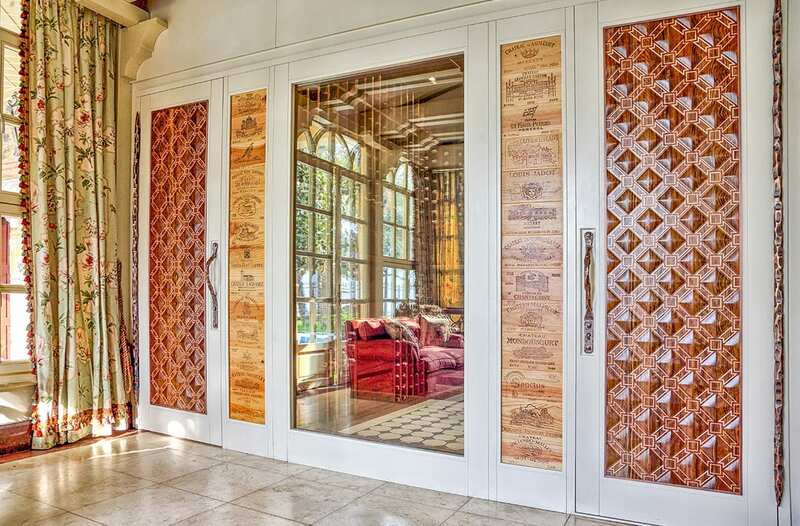 The cellar door features CNC-cut solid wood panels with thin copper inlays on both sides and hand-wrought steel pull handles. 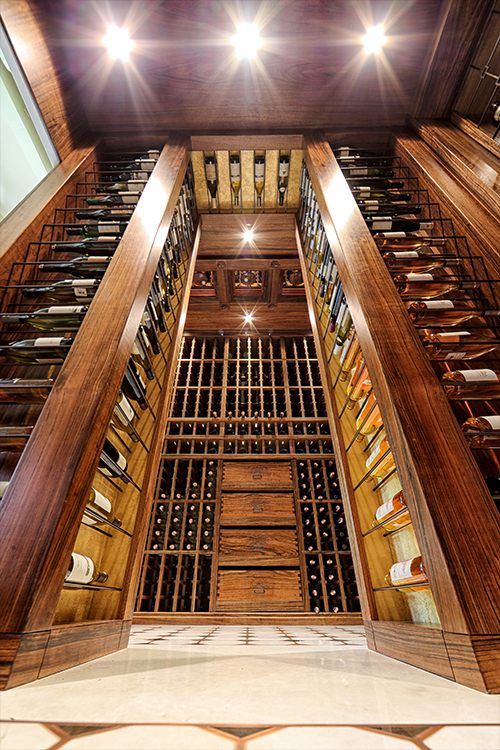 A copy of the cellar door is made for the door to the pantry to create a symmetry.